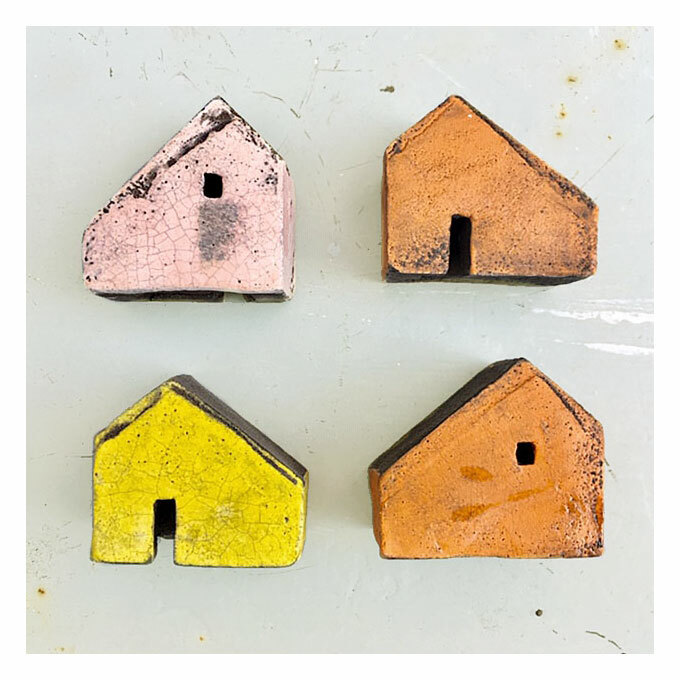 Rowena’s ceramic houses are inspired by Hebridean croft houses. They are hand carved from blocks of black clay, painted with slips and underglazes, then earthenware fired. Each house is unique, approximate size is 40mm x 50mm. SKU: Rowena ceramic houses in colour. Categories: Home, Ceramics.